Are Mountain Lions A Threat To Hikers In Southern California? The Proper Protocol If You Encounter One Of These Large Cats? Photo courtesy of Microsoft Plus "Dangerous Creatures" wallpaper. If you see a large cat with a long tail that stands about three feet tall and weighs between 120 and 160 pounds, this is NOT an overgrown house cat. 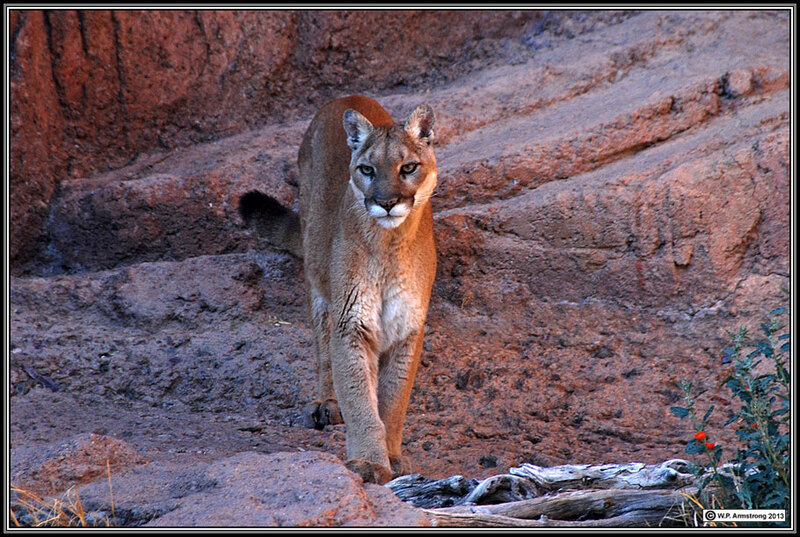 This is a mountain lion (Felis concolor). 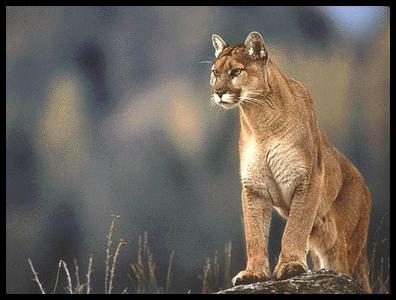 It is also called a cougar or puma. 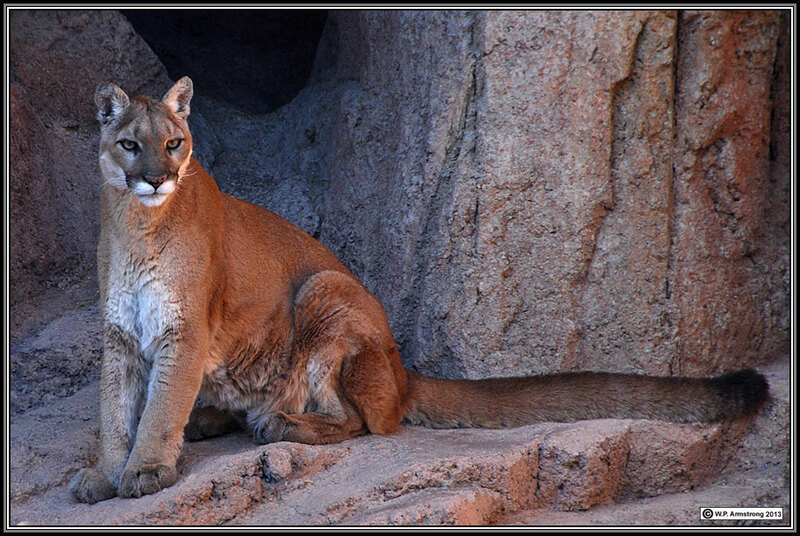 With the exponential human population growth and urban sprawl in southern California during the past 30 years, the native habitat of these large cats has been gradually reduced. Each year, thousands of acres of land that was once the hunting grounds for these cats is converted into housing developments, avocado orchards and roads. In fact, many vast hillsides of coastal sage scrub and chaparral have been dissected into isolated little "islands" bordered on all sides by freeways, roads, residential tracts and shopping centers. These basically timid cats are now forced to travel through residential neighborhoods and vacant fields during the hours of darkness to find food. Although they once had vast lands to roam in, they are now being confined to a few, small, isolated rural areas which have not been destroyed by greedy land developers. Do NOT attempt to feed this animal. Do NOT attempt to approach this animal or give it a catnip toy. Do NOT allow small children to walk alone on trails after dark. Do NOT allow small children to walk several hundred yards ahead of you on a remote trail. Do NOT attach large chunks of raw beef to your bicycle or your clothing. Do NOT bring a small goat or lamb with you on the trails--even if you have it on a secure leash. Do NOT hike on these trails wearing any type of herbivore costumes, unless it is an adult Rhino or Hippo. 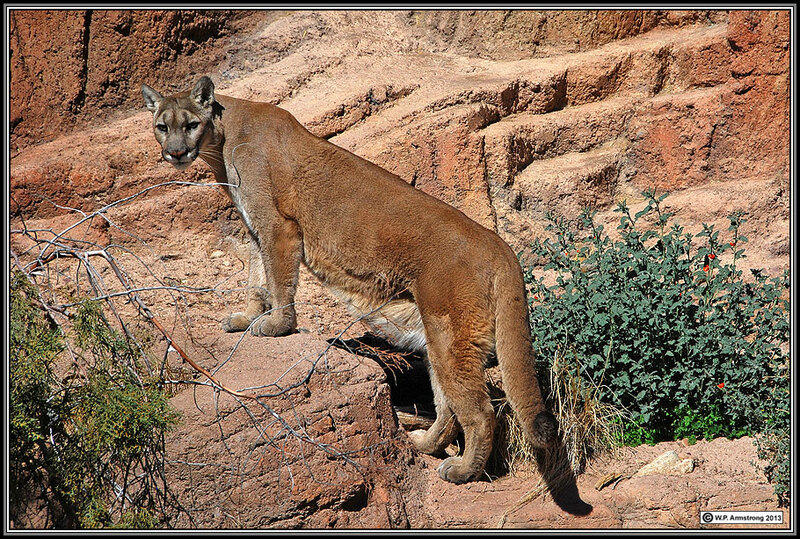 The WAYNE'S WORD staff has discovered that mountain lions are generally frightened of large, rectangular objects the size of a door. So when hiking in cougar country, we recommend that you carry a lightweight door with you and keep it in the upright position at all times. Note: WAYNE'S WORD included a number of additional satirical (humorous) suggestions on what to do and what not to do if you encounter a mountain lion. However, since these cats are moving into populated areas of southern California they could pose a threat. Therefore, we have removed most of the silly, satirical suggestions. This site will be updated with more pertinent information when it becomes available.